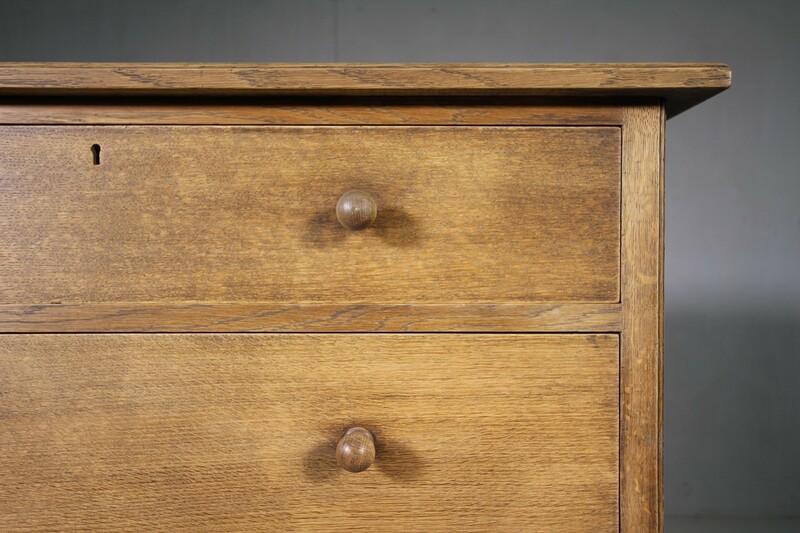 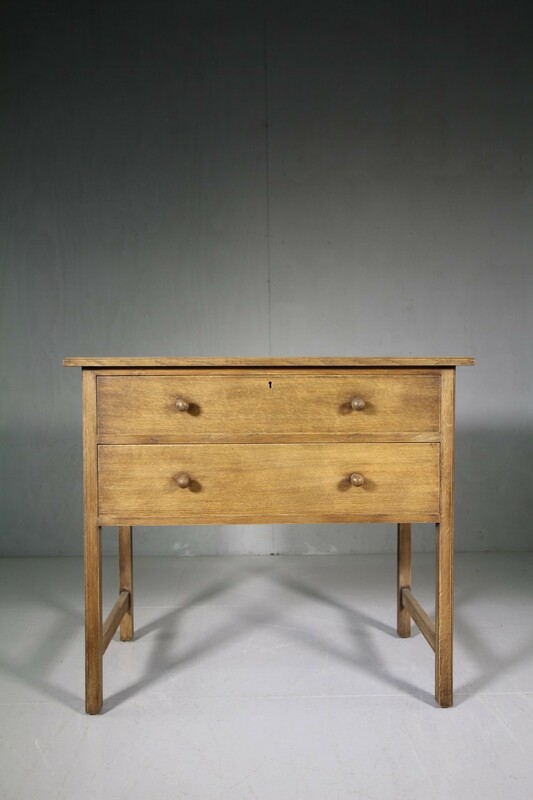 This solid oak Heals of London chest of drawers features two long drawers that have the original oak turned ball handles. 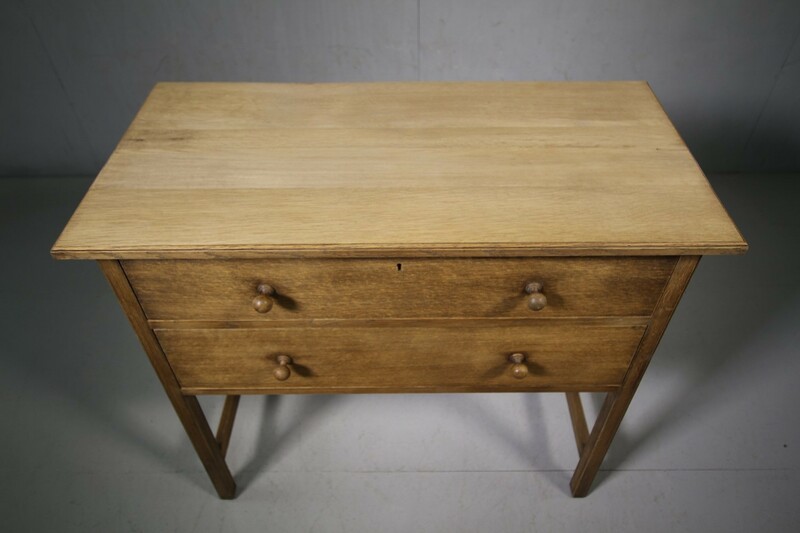 In very good, solid and clean condition. 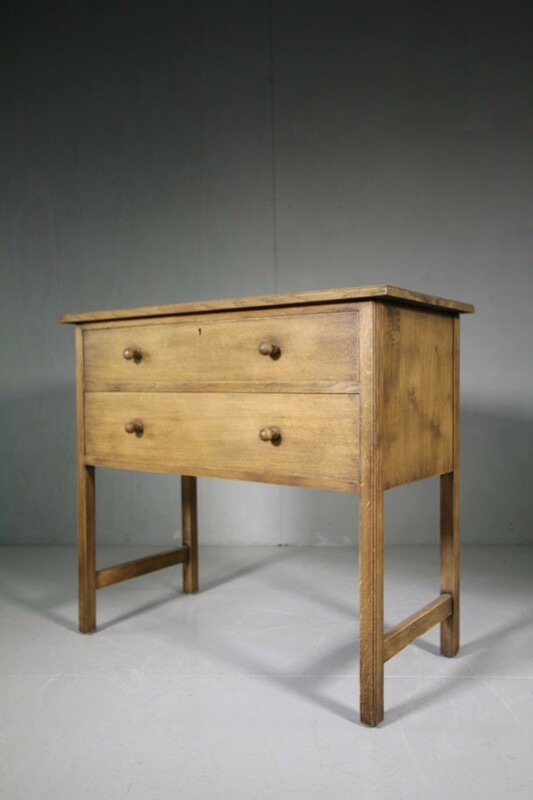 The oak top is moulded and the chest stands on square oak legs. 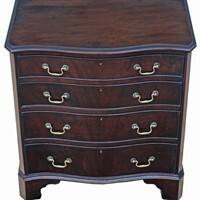 A more unusual model, perfect for a bedroom or bathroom.